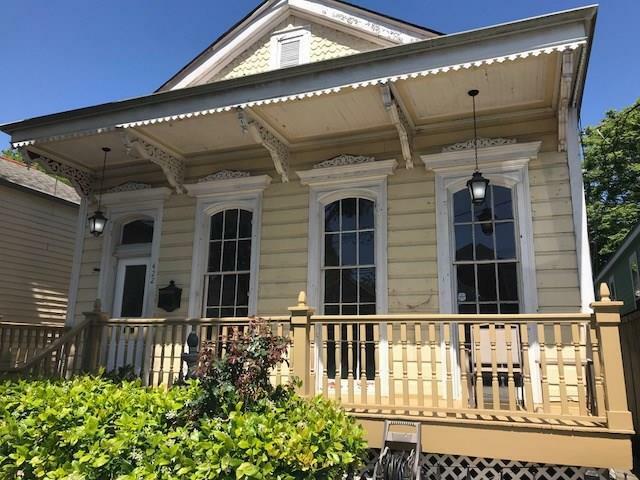 Charming front half of a double located in Algiers Point! Two blocks walking distance from the ferry. Wood floors, high ceilings, front porch, and fenced back yard. Pets considered on case by case basis by owner. Lawn care included. Washer/Dryer hookups. Listing provided courtesy of Lynn B Mcclave of Latter & Blum Property Management, Inc.